Members of the Montreal-based indie rock band Arcade Fire spoke about their support for improving health and alleviating poverty in Haiti at the University of Texas on Monday. Arcade Fire has donated over $500,000 to Partners in Health (PIH) over the past four years and has continually supported the organization’s work on improving health conditions in Haiti. This support has included organizing fundraising events, contributing portions of concert ticket sales to support PIH’s work, and donating some merchandise proceeds sold on the band’s website and at shows. Win Butler, Will Butler, Régine Chassagne and Marika Anthony-Shaw shared their views on philanthropy at the university, and explained how Chassagne’s Haitian background channeled their initial involvement with efforts in Haiti. Her family fled the dictatorship of François Duvalier and settled in Montreal. 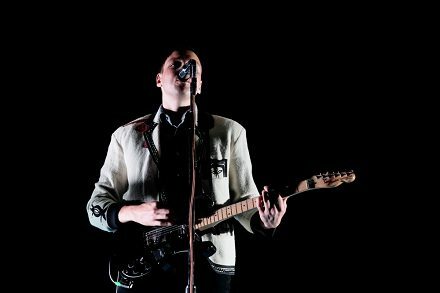 Win Butler also spoke on the American mentality behind giving: “In the [United] States and Canada, there’s a basic attitude that you should be able to do things yourself,” Butler said. “You take for granted all the infrastructure we have. When you see a place that has no government or money for basic necessities, you know people shouldn’t die from not being able to get a tetanus shot in 2012.” Members of Arcade Fire said they were not discouraged by reports of the country’s corruption and the complications of outreach to Haiti following the 2010 earthquake. Instead, the band hopes their advocacy efforts will lead to progress that will benefit the country in the long term.